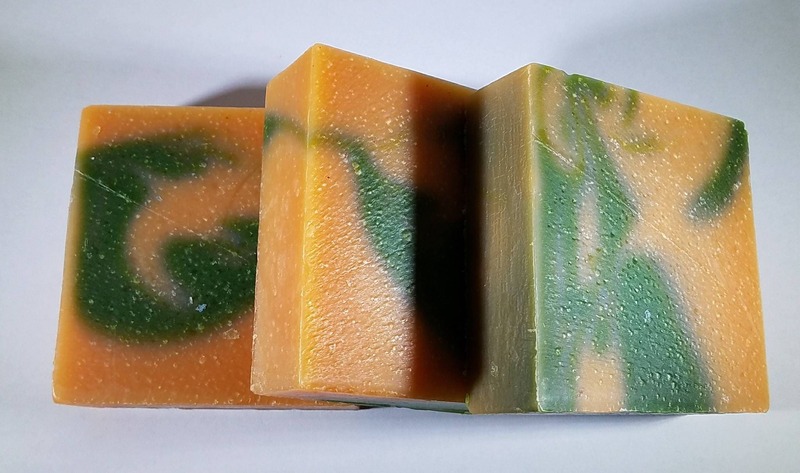 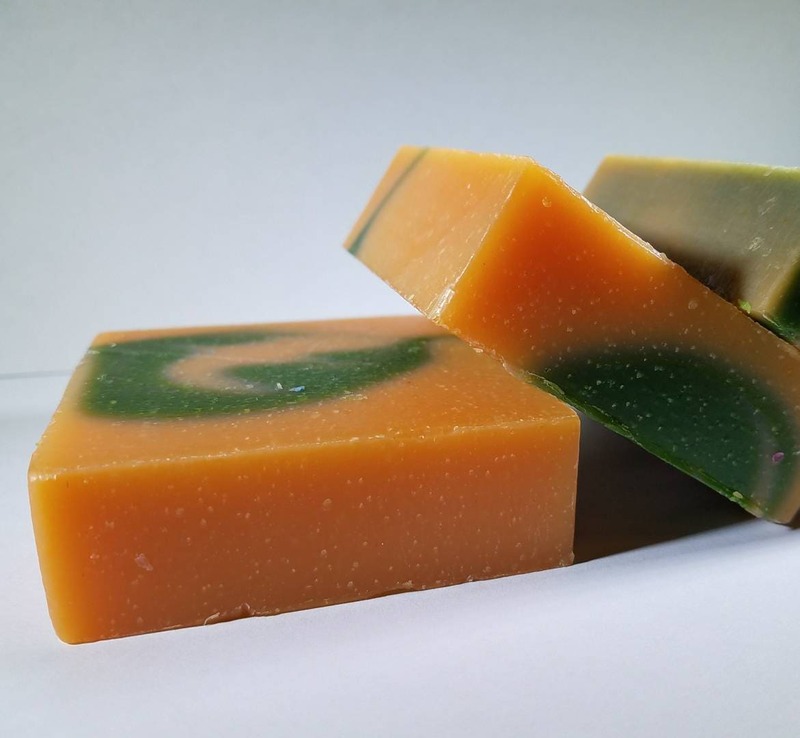 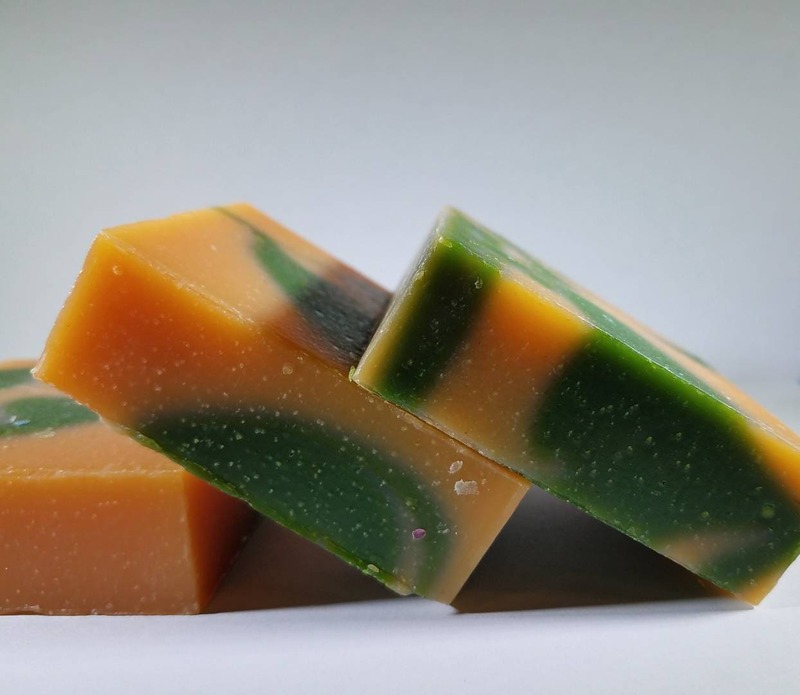 Our Apple & Cantaloupe Soap is a delightfully fragrant homemade soap. 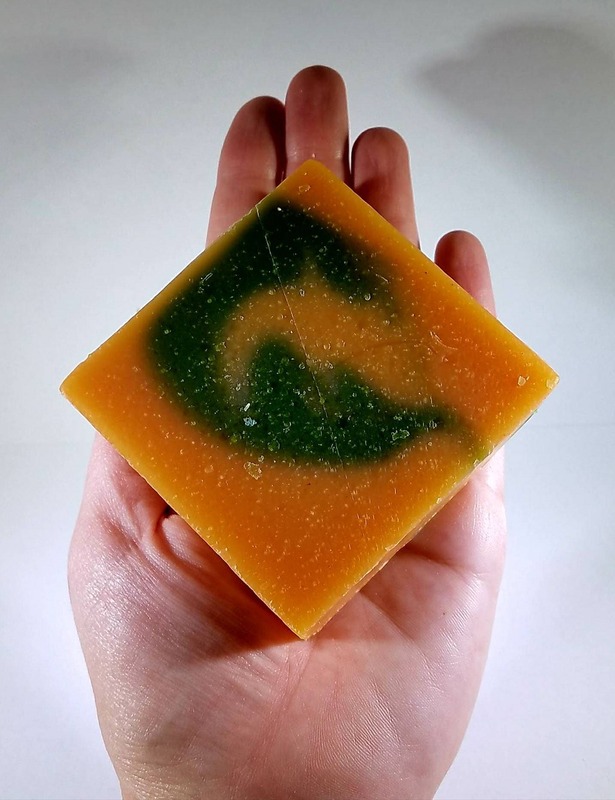 This fresh soap boasts the scents of ripe apples and sweet cantaloupe. 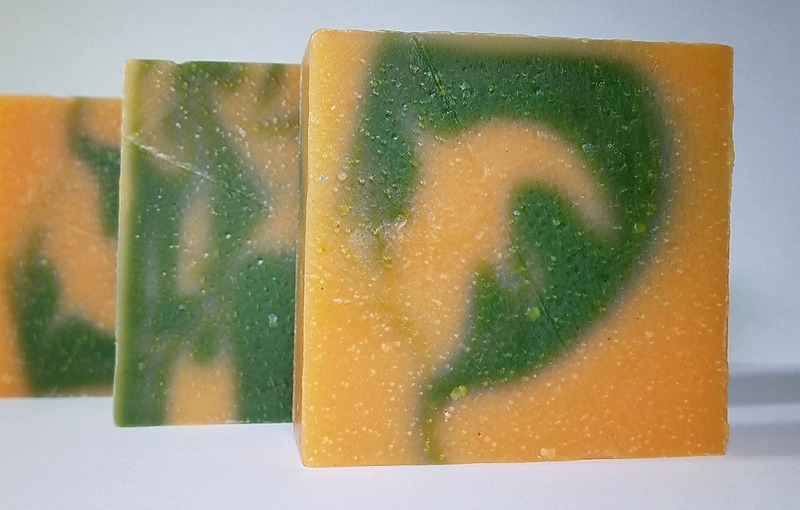 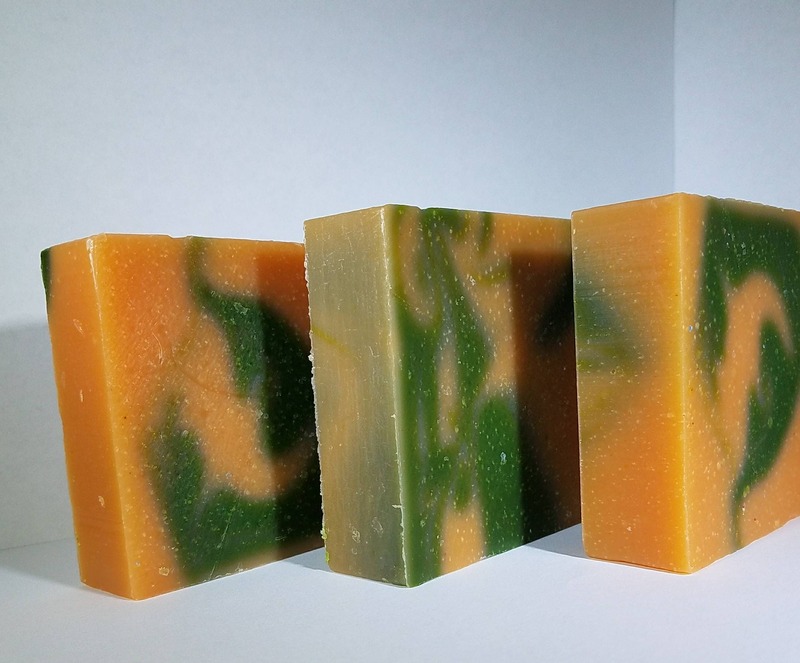 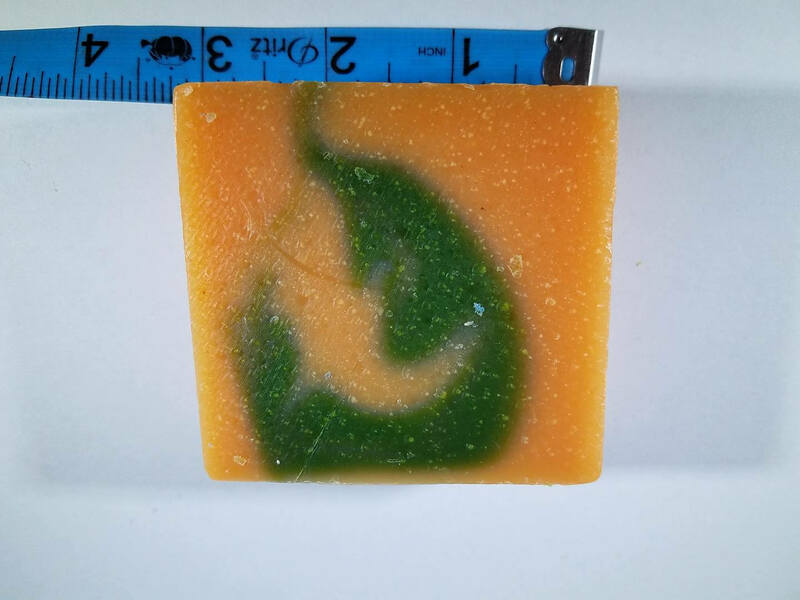 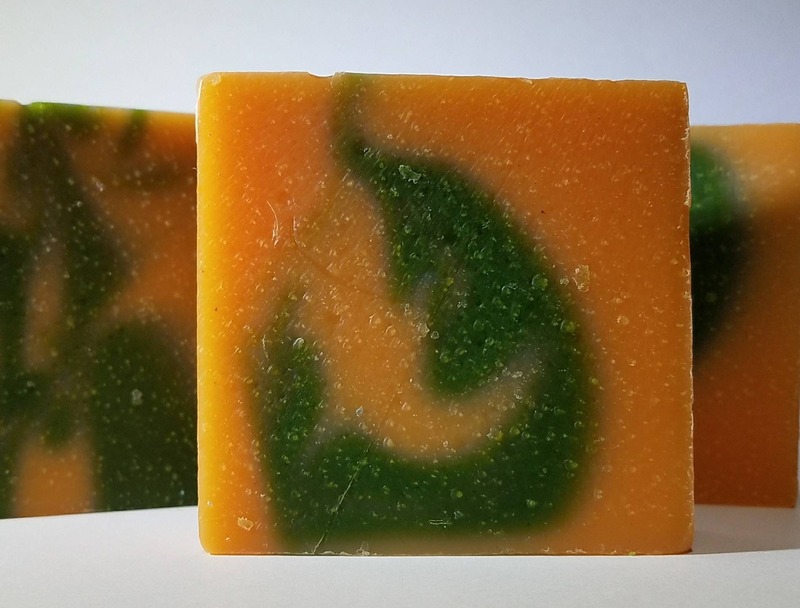 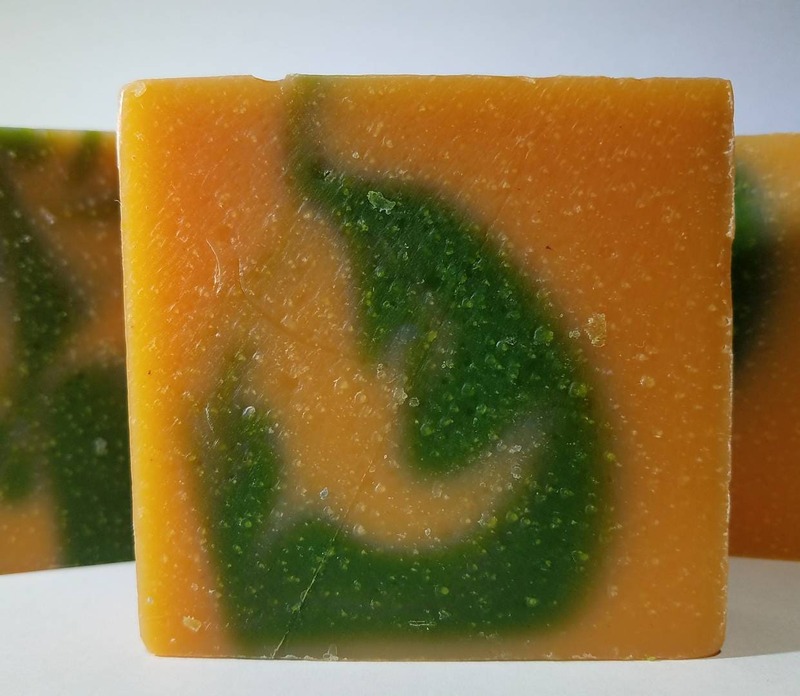 The soap bar is swirled with orange and green.